The 41st District race appeared to be the only Senate seat changing hands — meaning Republicans are likely to maintain a slim majority in the state Senate. 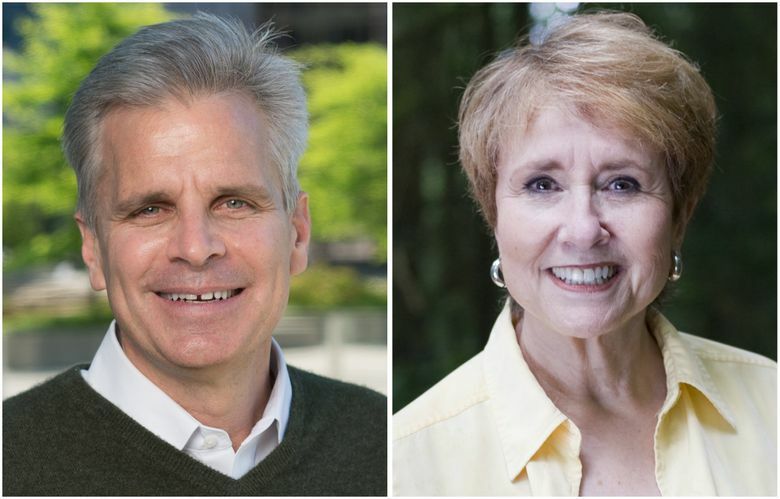 Voters of the Eastside’s 41st District appeared to be rejecting state Sen. Steve Litzow, R-Mercer Island, in his hard-fought bid against Democrat Lisa Wellman, a former teacher and tech executive. In Tuesday’s returns, Wellman was leading Litzow, a marketing executive, 55 percent to 45 percent. Wellman enjoyed the support of the state teachers union, which was critical of Litzow, chair of the Senate’s Early Learning and K-12 Education Committee, for what they called anti-educator policies such as support for charter schools and tying teacher evaluations to student test scores. The race, however, appeared to be the only Senate seat changing hands — meaning Republicans are likely to maintain a slim majority in the state Senate. The contest was one of the Legislature’s costliest, with almost $3 million spent overall. Despite being outspent, Wellman said her positive message — along with questions about Litzow’s leadership on education — won over voters. Republicans currently control the Senate with a 26-23 majority. Democrats, meanwhile, hold a 50-48 edge in the House. Each party this cycle has sought to defend its chamber and take control of the other one. The Democrats appeared to be holding on to a seat in the 5th District where state Sen. Mark Mullet, D-Issaquah, was leading state Rep. Chad Magendanz, R-Issaquah, 53 percent to 47 percent. Mullet, a small-business owner, argued that the biggest issues facing the district were traffic and transportation. He supported Sound Transit 3, which included an Issaquah station, and the 12-cent gas-tax increase approved in 2015 that will raise $16 billion for highway and transit projects. Magendanz, a software developer and former Navy officer, opposed the gas tax and ST3 and said people in the district felt like they were being engineered out of their cars. The two major parties were also battling over the Vancouver-area 17th District, a seat left open by the retirement of GOP Sen. Don Benton. That race pitted Democrat Tim Probst against Republican Rep. Lynda Wilson. There, Wilson was leading 54 percent to Probst’s 46 percent in Tuesday’s results. In the 10th District, another seat Democrats have sought, incumbent GOP Sen. Barbara Bailey faced a challenge from Democratic candidate Angie Homola. Bailey was leading in Tuesday’s results, 55 percent to 45 percent. Eyes were also on several state House races that appeared to be close, where Republicans were hoping to pick up two seats and take control. Tuesday night, the GOP appeared to pick up one seat in the 31st District, where GOP candidate Phil Fortunato led Lane Walthers, who describes himself as an independent Democrat. Fortunato was winning 57 percent to 43 percent. In the Snohomish-area 44th District, another seat Republicans hoped to pick up, incumbent Democrat Rep. John Lovick faced GOP challenger Janice Huxford. Lovick was leading 53 percent to 47 percent. 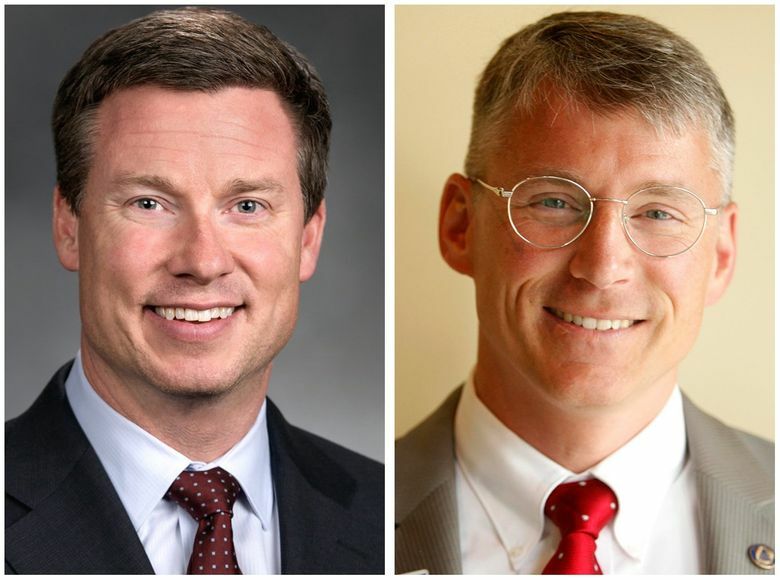 But Democratic challengers Tuesday night were leading GOP incumbents in two Federal Way-area seats in the 30th District. Democrat challenger Mike Pellicciotti was leading Rep. Linda Kochmar 55 percent to 45 percent. Meanwhile, Democrat challenger Kristine Reeves was leading Rep. Teri Hickel, 52 percent to 48 percent. Among other close races were two in the 5th District currently held by the GOP. Republican Paul Graves was leading Democrat Darcy Burner by just over 1 percentage point, according to an overnight update from King County Elections, in the race to fill the seat left open by Magendanz. And Rep. Jay Rodne, R-Snoqualmie, narrowly trailed Democratic challenger Jason Ritchie. Ritchie was beating Rodne 50.3 percent to 49.7 percent, a tally that includes additional votes tallied in the overnight King County update.